New and experienced colored pencil artists always gain by learning about this fun and accessible medium! This class with nearly 5 hours of video instruction will help you understand pencils, decide whether you might want to try a different brand, and of course how to use them! Covered will be a wide variety of blending techniques, shading and some color theory as well! Many downloadable handouts will help you test and practice your blending and color combinations, and you’ll use these swatch sheets for years to come. While some lessons in the class are geared to papercrafters using stamps – fine artists can also learn much by applying the techniques to drawn images as well. Just substitute your own drawings when we get to the later lessons on different papers! Students can even take this class without owning a full set of pencils! The color theory exercises will teach how to mix colors using a color wheel to create new hues. Start with what you have, and as you grow as an artist you can decide what other products might be of interest to you! 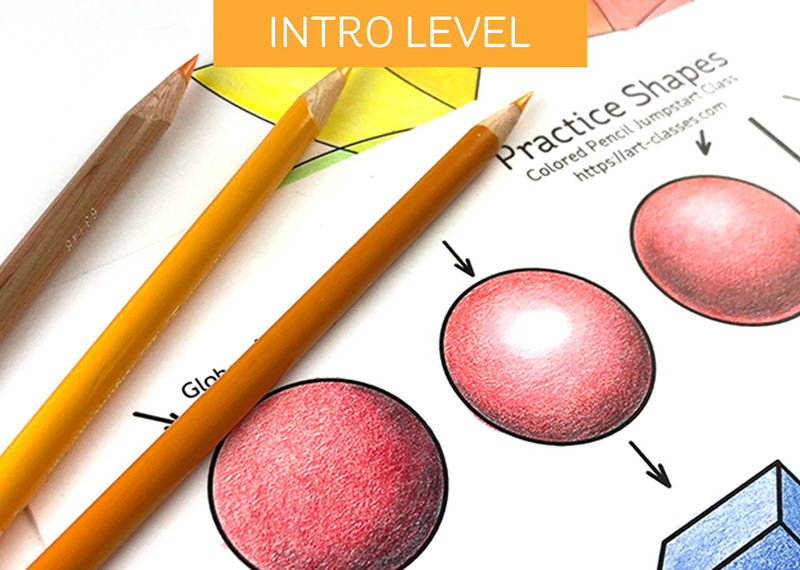 This class will get beginners started, amp up intermediate students, and deepen an advanced student’s knowledge of colored pencils – and this class serves as the prerequisite for future classes. So grab your pencils, some paper, and let’s jumpstart your coloring skills!